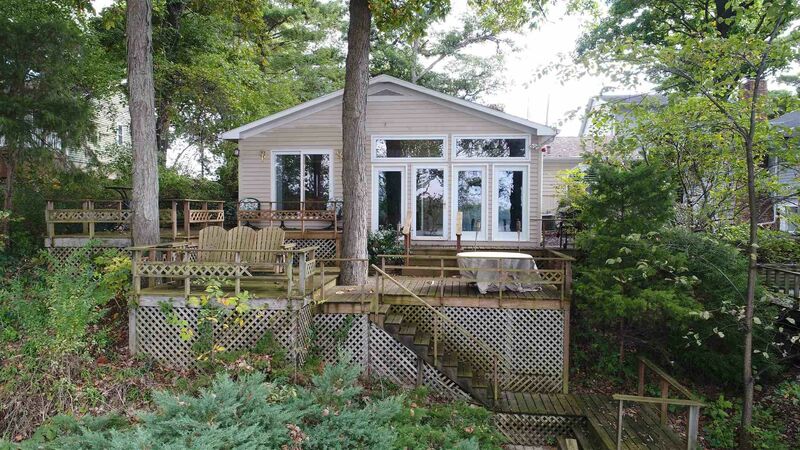 You won't want for more with this 3 BR, 2 bath home at the widest part of Lake Freeman! A turnkey listing....just bring your bag. All the waterfront improvements are in place with a steel seawall, double covered permanent boat lift, a swim pier, and a shed at the waterfront for your water toys. Nested among the trees, there is lots of decking where you can enjoy the view in the sun or shade. The living areas are open concept with vaulted ceilings and skylights. A generous master bed/bath, and a 2-car attached garage with a concrete drive. Additional parking available on the lot across the street. Available outside of closing is the Tritoon boat and waverunner. This Freeman home has it all, don't miss it!